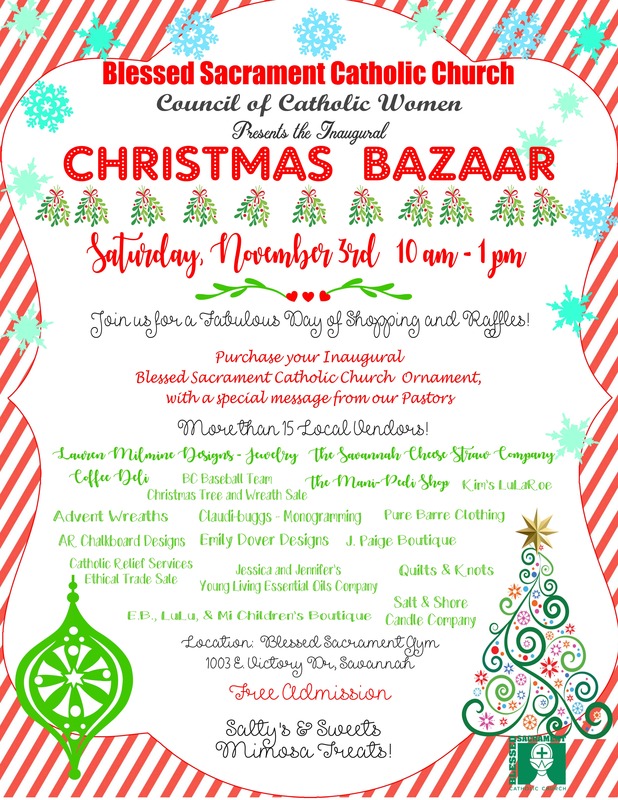 JOIN US TOMORROW for the CCW Inaugural Christmas Bazaar! You won’t want to miss this highly anticipated event! Get your inaugural Parish Christmas Ornament and see what else we have in store!